New windows can improve the comfort and appearance of your home. If you have noticed inconsistent room temperatures, drafts or even a whistling sound on windy days, chances are your windows may have air leaks. 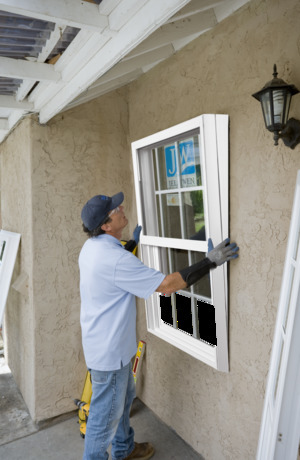 New windows can help ensure your home isn’t too hot or cold, and that everything is sealed tightly and professionally. Condensation forms on glass when warm, moist air comes in contact with cool, dry air. This tends to not only block your view, but can cause concern of the condition of your windows. 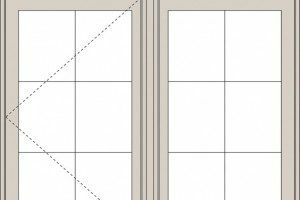 While condensation on the outside of the glass is common, especially in new builds, condensation between the two panes of glass may be a sign that the seals are failing and need to be replaced. New energy efficient windows are specifically built to keep the cold air out and trap the warm air in, reducing window fog. If your home has older windows that don’t meet modern insulating standards such as Low-E glass, chances are you’re just throwing money out the window. Even if they are closed tight, it is likely that heat or cold air is still getting out. New, energy-efficient windows are available with Low-E 366 glass, which helps keep your home warm in the winter, and cold in the summer, by repelling UV rays when it’s warm, and absorbing them when it’s cold. The older your windows, the more expensive it becomes to keep your home comfortable. Just like other features or appliances in your home, sometimes windows just get old. Over the years, weather can really take its toll, causing frames to swell and warp. You’ll start to notice how the smooth function of the window isn’t really operating well, or the wood rot of where a buildup of moisture caused the frame to deteriorate. Whether it’s cars coming down the street, kids in front playing soccer or your neighbors cutting the grass at 8 AM on Saturday, older single-pane or double-pane windows can transfer sound vibrations from outside into your home. High-performing, energy-efficient windows will actually absorb sound before it ever gets in your home. With all the latest technology advancements, there are more options for your home than ever. Energy-efficient windows not only improve the style and comfort of your home, but also can even help you save money on your heating and cooling bills. 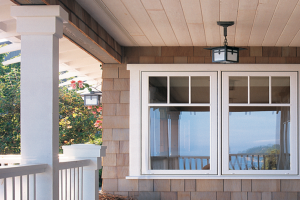 Whether you are currently looking for new windows or would like to find out more information on what’s available, visit jeld-wen.com to find an authorized dealer near you, and to check out our wide selection.